This year we celebrated 10 years as the independent company Aker Arctic. The company has been strongly established on Finnish knowhow in icebreaking and ice technology, and we have been working from our Helsinki and Turku locations. Now the time has come for the company to grow, not only in size but also in terms of broadening our knowhow base. 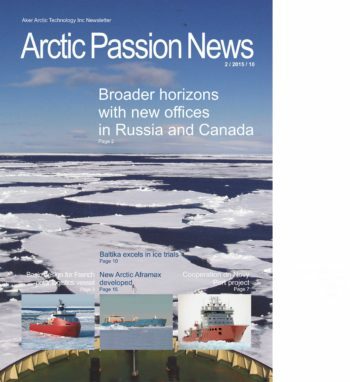 We were able to conclude the acquisition of the Canadian ice expertise company Akac Inc. Akac has been the world’s leading consultancy development company in its specialised field: solutions for arctic offshore operations and ice management. We have also made the decision to open our own representative office in Moscow.